On Thursday, we had a great time presenting our cake cutting project to other students and professors at the showcase. 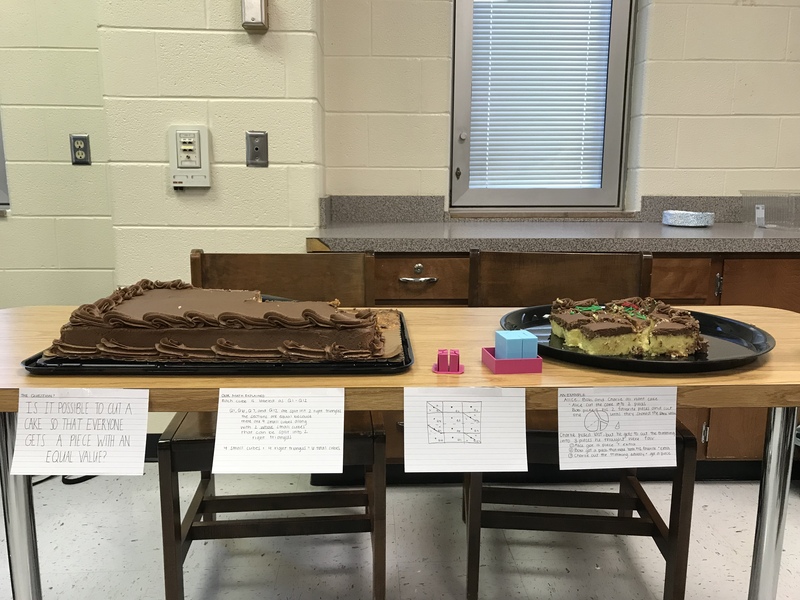 We brought our prints to demonstrate how we created this unique way of cutting cake in a mathematically fair way. 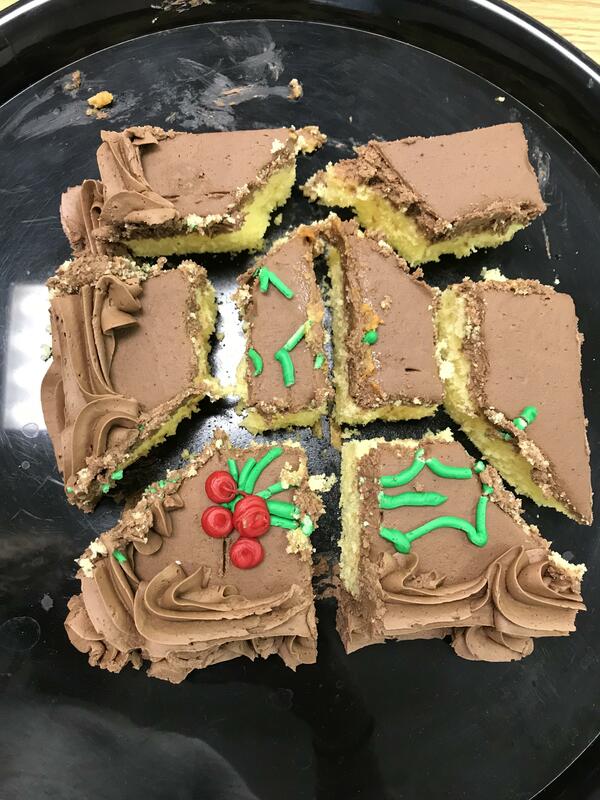 Dr. Taalman also brought cake in for us so we were able to cut actual cake into the way we cut it on our print, and students and professors were able to eat cake too! We also got to check our other classmates projects. I was very impressed taking a look at their projects, how they came up with their ideas and explaining the math behind all of it. The one that we found most interesting was the fractal carpets. In class, we were given the code for this fractal in OpenSCAD, but we could edit and create our own using that code. Seeing all of the different variations of the carpets was very interesting and most of them looked different than one another. We both had such a great experience at the showcase explaining our project, how we came up with it and giving out cake to classmates, students and professors! 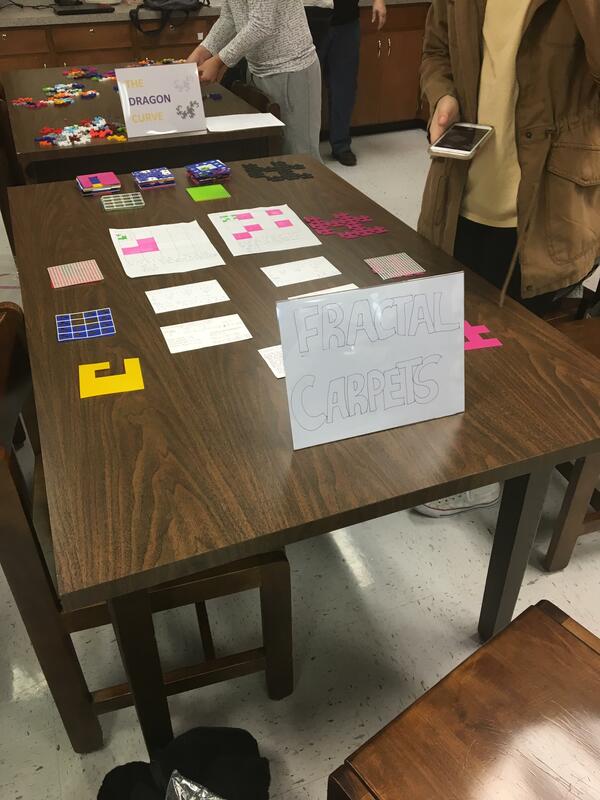 We both enjoyed this project and loved everyone’s curiosity when they approached our table. This project was very interesting and we were happy that we were able to present it in a unique way that attracted attention to many people.